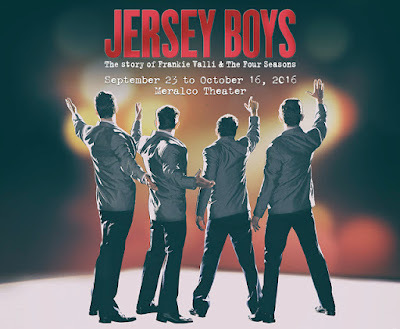 Aside from Himig Handog and PhilPop 2016, Nyoy is also busy preparing for the hit Broadway musical that will be staged by Atlantis Productions locally for the first time, “Jersey Boys”. He will play the lead role of Frankie Valli who sings “You’re Just too Good to be True” in the show that will be staged at the Meralco Theatre in September. His co-stars are Christian Bautista, Markki Stroem and Nino Alejandro. Here’s wishing Nyoy good luck. May his song “Sintunado” win the P1 million grand prize. Other favorite entries of ours are “Tinatangi” by Bayang Barrios and Cookie Chua with the Benjamins, “Lahat” by Jason Dy, “Di Na Muli” by Itchyworms and “Stars are Aligned” by Jimmy Marquez and Acapella-go. At the presscon of PhilPop 2016 recently, the Acapella-go stole the scene when they were asked to sing their version of the children’s song, “Tatlong Bibe”, which is a big hit on youtube. We’d like to thank Viva for sending us a CD sampler of all the finalist songs. The judges will really have a tough time choosing the winners as they are mostly great and endearing.